Think you’re bored? Try being a barnacle, stuck to the pier all day. Could anything be worse…? We all get that zzzz feeling sometimes. Poor Barnacle has it all the time. His view never changes. Every day is exactly the same. 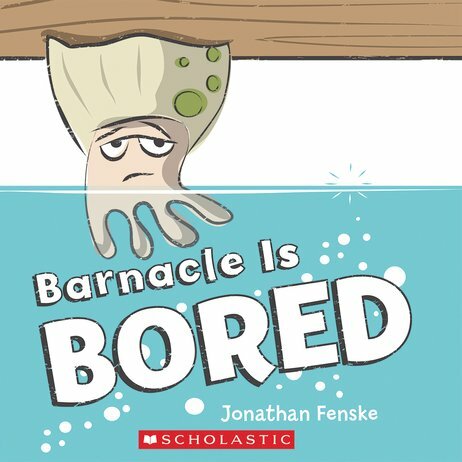 The tide comes in and Barnacle gets wet. The tide goes out and Barnacle dries off. If only he could go places, like that pretty fish swimming by… A witty delight with a funny message and a really fresh, eye-catching look. Who knew a grumpy barnacle could be so completely adorable?